The challenges involved in planning events for Scouting are no mystery. Most BSA organizers are parents and volunteers with careers and numerous other significant obligations. Their time and energy are limited, yet the demands of organizing events for even a small troop are substantial. Eventene CEO, David Wood, experienced these challenges firsthand while coordinating events for his son’s local troop. The time and thought required to plan even a smaller campout was massive. It was because of this struggle that David started Eventene to develop a proprietary application to simplify the event planning process for volunteers like himself. 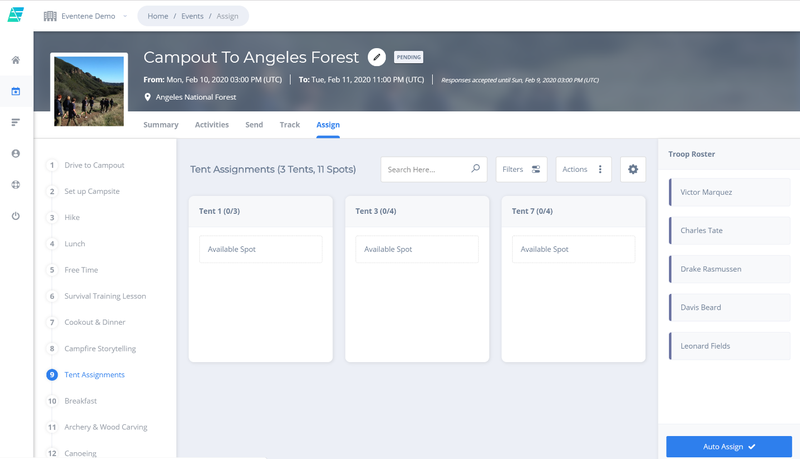 This solution not only makes event planners’ lives easier, it also ensures more consistent and coordinated activities for Scouts themselves. So how does Eventene accomplish this admittedly difficult task? The key is consolidating the various tools that organizers have long used to shape events into a single workflow. 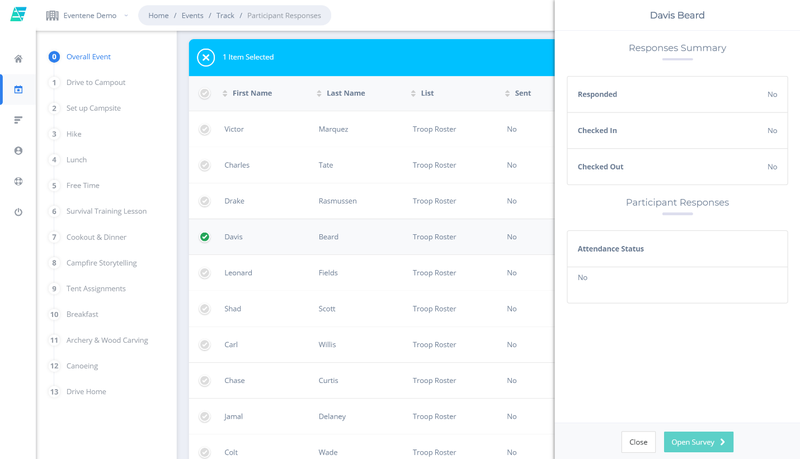 So instead of using separate applications to create surveys, send invitations, track RSVPs, schedule activities, and coordinate carpools, organizers can now use one piece of software: Eventene. But beyond simply unifying these discrete tools, Eventene transforms each event into a record that can be used to shape future activities. For example, in Eventene a recurring event like a troop meeting can be utilized in a variety of ways. 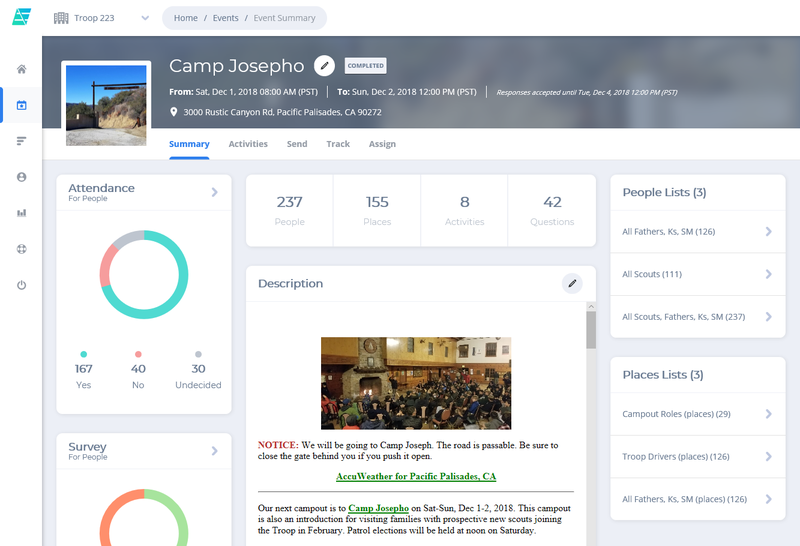 Organizers can refer back to previous troop meetings for attendance records, itineraries, and other event information. Then, they can use this data to craft future events such as using attendance to determine participation or roles in an upcoming event. So, while the logistical challenges faced by BSA units are very real, they are certainly not insurmountable. For the volunteer event coordinators that make their troop and pack activities possible, Eventene is a powerful yet affordable solution. It not only expedites the entire planning process, Eventene also makes every event into a practical record that can inform and shape future activities.